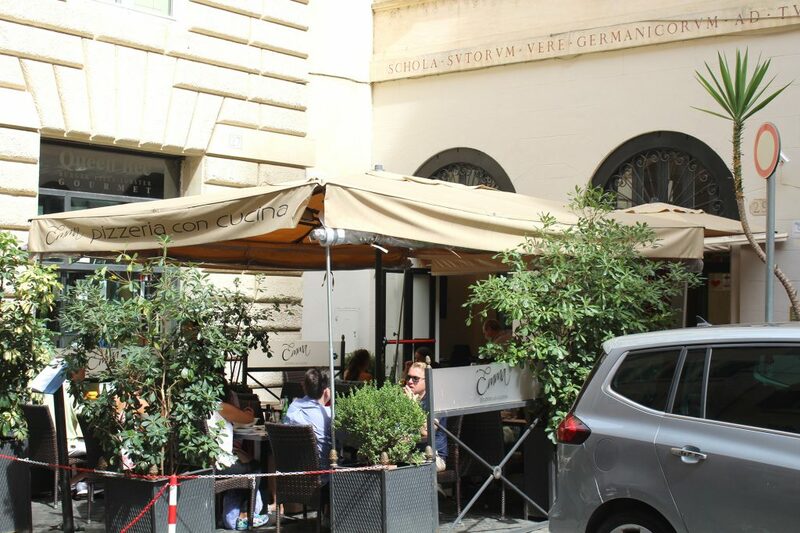 Emma – Pizzeria con cucina, entrance. In September this year, I had the opportunity to make a long-time-dream come true: Hubby and I packed our bags to spend a 3.5-week long holiday travelling around Europe! Obviously, I’ll publish here all places I eat and visited, so stay tuned. :D.
Our first stop in Europe was Italy, more specifically in Rome. Of course, our food choice to kick-off our holidays was pizza! Emma pizzeria was super close to our accommodation and had amazing reviews online, which sounded like a good option. Romanian pizza was one of the items I had long-added to my foods-to-try list. Mine: Quattro stagioni – tomato sauce, fresh mozzarella cheese, organic artichokes, champignon mushrooms, ham, organic egg, and olives. Hubby: Margherita Red Cow – tomato sauce, fresh mozzarella, and red cow parmesan (30 months old). 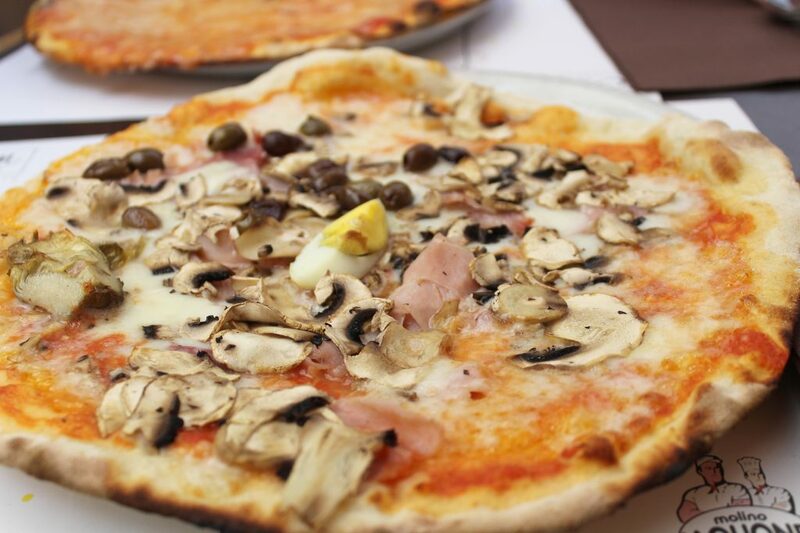 Quattro stagioni – tomato sauce, fresh mozzarella cheese, organic artichokes, champignon mushrooms, ham, organic egg, and olives. Margherita Red Cow – tomato sauce, fresh mozzarella, and red cow parmesan (30 months old). Indeed, the crust was super thin and crunchy, and also super yum! And what about the flavour, you may be asking!? However, Hubby’s choice was SPOT-ON. Oh my, that red cow parmesan was simply out of this world! Seriously, you need to try this. It’s a great restaurant, with many other dishes available and a good variety of pizza flavours. Staff is polite and friendly, no issues ordering things in English as well. I loved their service. 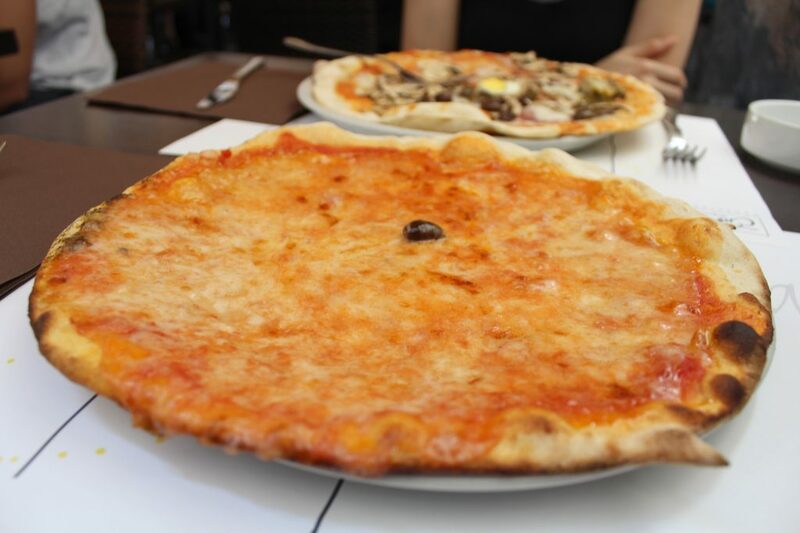 I wouldn’t say you should visit Rome only to try this restaurant, but if you happen to be around and keen to have an authentic Romanian pizza, make sure to order a Margherita Red Cow pizza! Pizzeria Brandi • Best pizza in Naples!